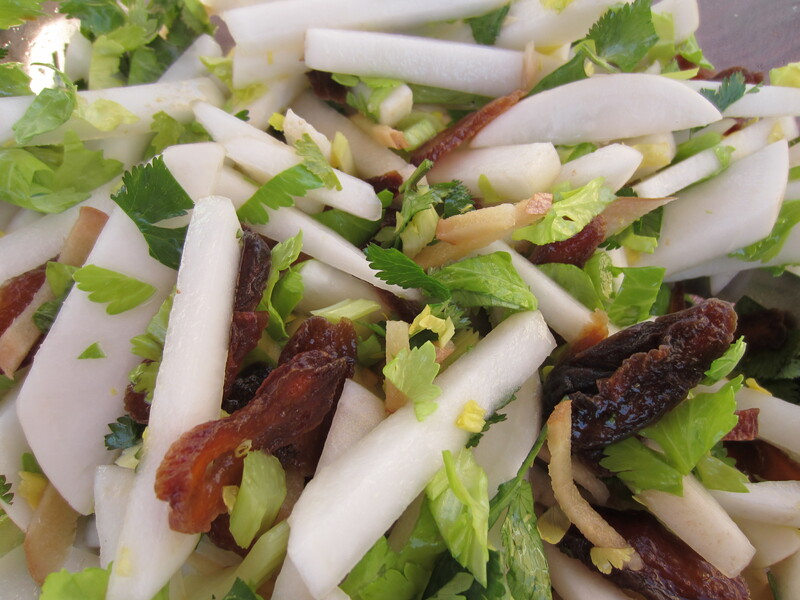 Salad turnips, celery hearts, ginger, dried apricots, scallions, and cilantro dressed in rice vinegar with a pinch of salt. I found this interesting flavor combination in the turnip section of Elizabeth Schneider’s Vegetables from Amaranth to Zucchini and had to try it. Yum! I’m always looking for interesting turnip recipes. This one is definitely a keeper.